Viewing 24 of 371 items. 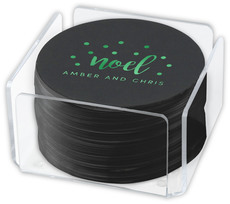 Celebrate the season at a Christmas or holiday themed party with personalized plastic plates available in 2 sizes. 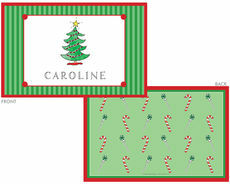 Personalize with your choice of a holiday themed design and/or your text. Your choice..
A Stationery Studio exclusive! 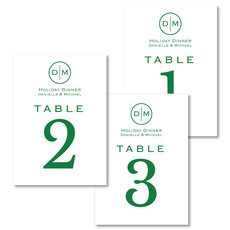 Your holiday dinner will be extra special with personalized placemats. These personalized placemats are available as individual laminated placemats or as a pad of 25..
A Stationery Studio Exclusive! 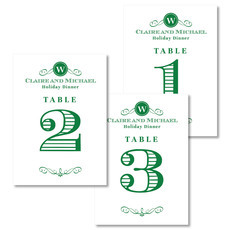 Your table will be extra special with these beautiful personalized placemats. 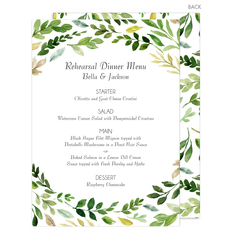 These personalized placemats are available as individual laminated placemats or as a pad of..
Make an occasion personal with personalized plastic plates! Your choice of plate color, plate size and personalization color. Style your upcoming event with effortless entertaining. Personalization..
Set of personalized invitations featuring an embossed pepperberry wreath complete with gold bow on ivory stock. Size of card is approximately 5" x 7". 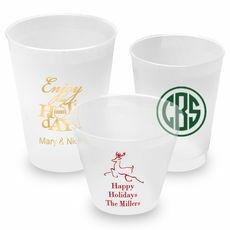 Your choice of imprint color and..
Personalized disposable or reusable stadium cups are great for any occasion. Our confetti dot designs offer many options ideal for almost every type of celebration. Personalize with your choice of cup..
A Stationery Studio exclusive! 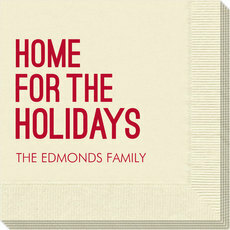 Make meal time extra fun with these holiday themed personalized placemats. These personalized placemats are available as individual laminated placemats or as a pad of 25..
Set of 100 paper linen Caspari guest towels. These air-laid paper guest towels have the look of linen with a thicker, plusher, more luxe feel. 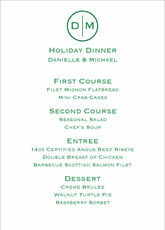 You select imprint color and lettering style for your..
We know how busy the holiday season can be and if you are entertaining it's even busier. 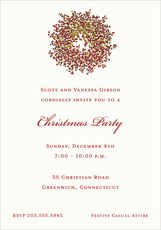 Starting with the perfect personalized Christmas or Holiday party invitation which your guests will be excited to receive, and continuing on to the gathering you are planning, it can all easily be stylish and perfect. 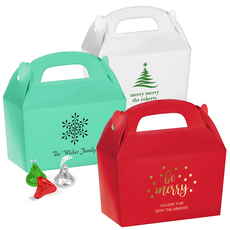 Once the invitation is received and the part starts, welcome your guests with personalized Christmas party supplies. 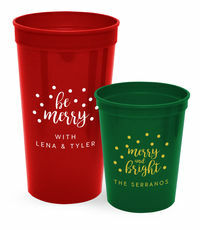 We offer a large selection of quality personalized party products that will make your entertaining special from gift packaging, personalized cocktail napkins and guest towels to printed party cups,personalized favor bags and monogrammed holiday gifts. 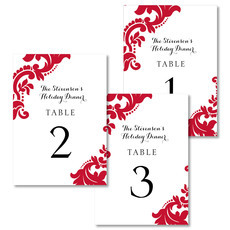 Your guests will feel welcome at the holidays this year with the many accents that will be noticed and appreciated. 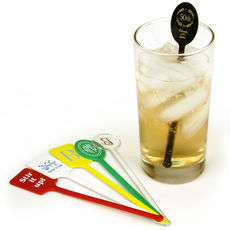 This year, consider elevating your bar with custom printed wood or plastic stir sticks printed with your personalization and even a small design plus printed party cups. 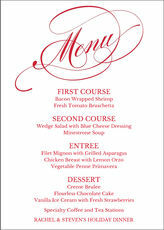 Make your clean up easier this season with printed plastic plates for appetizers, dinner and dessert. 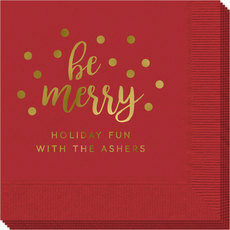 Plus it's always enjoyable and fun to have printed napkins for your cocktails, dinner, and monogrammed guest towels in the powder room. Make your Christmas party merry this season and enjoy some extra down time as you will save yourself some time and trouble running around to find coordinating party goods. We offer personalized party favor bags ready for all your guests, personalized gift packaging for your presents including printed stickers, personalized gift tags, wine tags, wine bags, satin ribbon and gift enclosures. And, with all the time you will save, view our extensive selection of personalized Adult Christmas Gifts, Teen gifts and Childrens gifts. If you are attending other celebrations, be sure to order a thoughtful hostess gift which you can bring with you or send afterward to show your appreciation. Christmas Hostess Gifts are items that will be truly appreciated by the host for all the trouble they went to in preparing for your visit. In addition, it's very appropriate to order a new set of personalized thank you cards for holiday gifts. As you know, once you send a gift, you hope it's something that was well-selected for the recipient. When you get a note of thanks it's very appreciated. Be sure that you give the same courtesy to those who have gifted you. 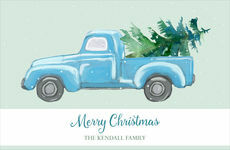 We offer a large selection of Christmas Thank You Cards that are personalized from you. Simply send a short note of your gratitude after the gift is received to reassure those who gifted you that you have received the present and love it.